All the aspirants who are going to appear in SSC CHSL 2018 exams they must be well versed with the exam pattern being asked in the exam. 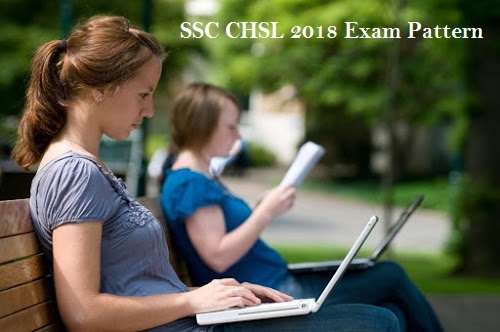 Proper knowledge of the exam pattern can prove very helpful to all the students applying for SSC CHSL 2018. Last Update May 26, 2018. Students should keep in mind that negative markings are also part of the exam. 0.5 marks will be reduced for every wrong answer. The exam is held to check candidates writing and comprehensive capabilities/skills. Candidates can choose out of two languages to attempt in paper i.e. Hindi or English. Paper will comprise of one application and one essay question which is to be written in the preferred language. Student can opt for only one language. All the candidates are required to score a minimum of 33 marks in order to qualify SSC CHSL Tier-2 exam. All the students who reach Tier-3 level of exam then they must poses a Data Entry Speed of 8,000 key depressions per hour on computer.